Native Plant Conservation is a key part of the Montana Native Plant Society Mission. 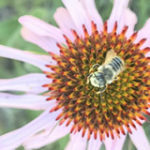 A Conservation Committee leads in identifying and acting on issues and programs for the conservation of native plants. To learn more about the activities of the Conservation Committee, contact the Chair, Peter Lesica, in Missoula. 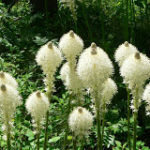 Through the work of the Conservation Committee, the Montana Native Plant Society takes positions on plant conservation issues and comments on public land management plans relating to the conservation of native plants. Click on Conservation Issues to open a page linking to documents on which the Society has taken a position. Links to a page with information on threats to species, threatened species, and a program to identify important plant areas for habitat and species protection. Also, be sure to read “Montana’s Threatened Plants Need Your Help,” by Peter Lesica in the Spring 2009 Issue of the Kelseya. MNPS Sponsors a Plant Conservation Conference on a biennial basis. For all the information on these conferences including links to the proceedings, please click to the Conservation Conference Page. Most plants used in horticulture and agriculture are not native to this continent. The vast majority of these introduced plants serve their purpose and benefit humankind without problem; however a few escape cultivation and become invasive. Indeed, deliberate introductions, such as tamarisk, Dalmatian toadflax and leafy spurge, are the single most common source of naturalized exotic plant pests in the United States. Invasive exotic plants pose a threat to Montana’s native plant communities as well as our two most significant industries: agriculture and tourism. Many nursery professionals and landscapers are aware of the problem and would like to avoid introducing invasive plants. 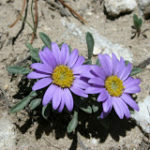 These guidelines were developed by the Montana Landscape and Nursery Association and the Montana Native Plant Society. They are VOLUNTARY, meant to help nursery professionals and landscapers with recommendations regarding the selection of horticultural material. The Agricultural Research Service (ARS), part of the U.S. Department of Agriculture, has introduced many Asian and European plants for agricultural purposes. Some of these plants, such as tamarisk (Tamarix spp.) have become serious weeds. ARS recently introduced a perennial Kochia even though Kochia scoparia is a serious weed of wheat fields in Montana. ARS scientists are required to do extensive research to make sure that biocontrol insects do not harm native or agricultural systems, but there are no such requirements for introducing non-native plants. MNPS will partner with native plant societies from other western states to attempt to pressure ARS to seriously consider the possibility that their introductions can go bad and to focus more on native plants rather than introductions. If you would like to help with this issue, contact Peter Lesica. See text of joint letter sent August 1, 2013 here.